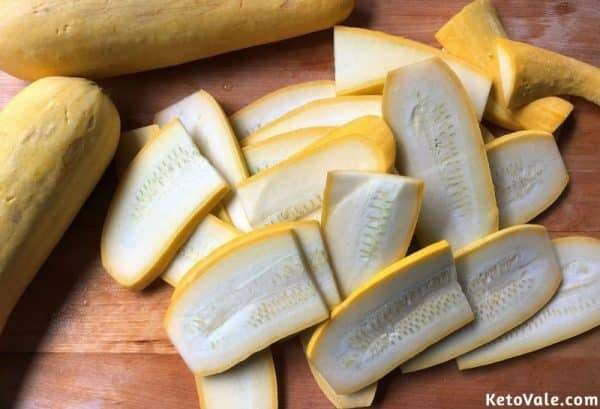 Prepare the yellow squash and cut lengthwise to form thin slices. 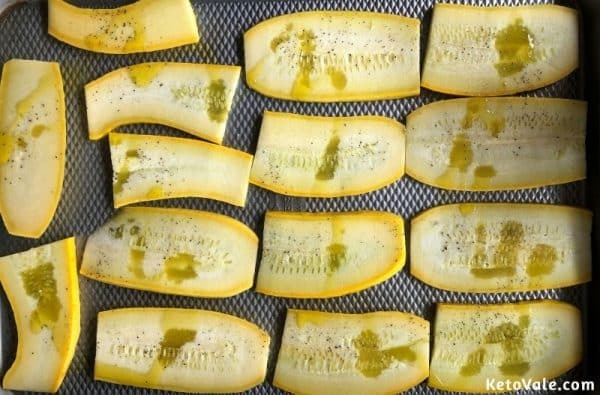 Grease the baking sheet with some olive oil or coconut oil. 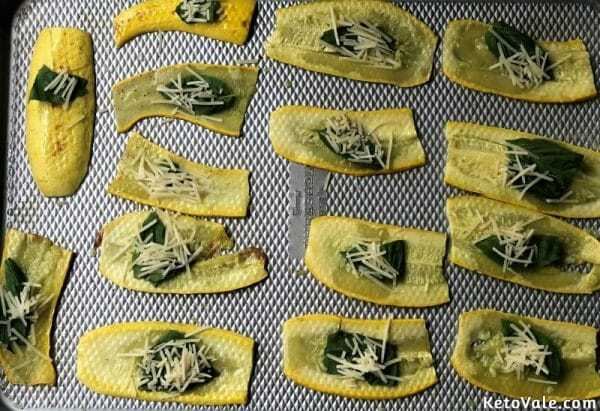 Neatly arrange the squash slices onto the sheet. Drizzle with some olive oil and season with salt and pepper. 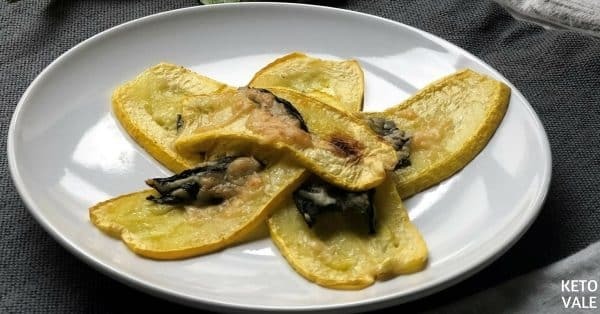 Set the oven to 350°F and bake the squash for 5-7 minutes. Take out from the oven and flip the strips. 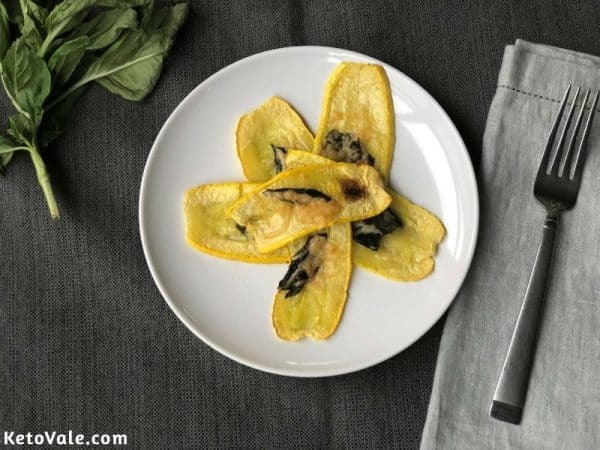 Chop the basil leaves in half and add a half portion on top of each squash. Top with some shredded Parmesan cheese. Replace in the oven and bake for another 3-4 minutes. Once the cheese has melted, remove. Serve as a side with your favorite protein main dish.